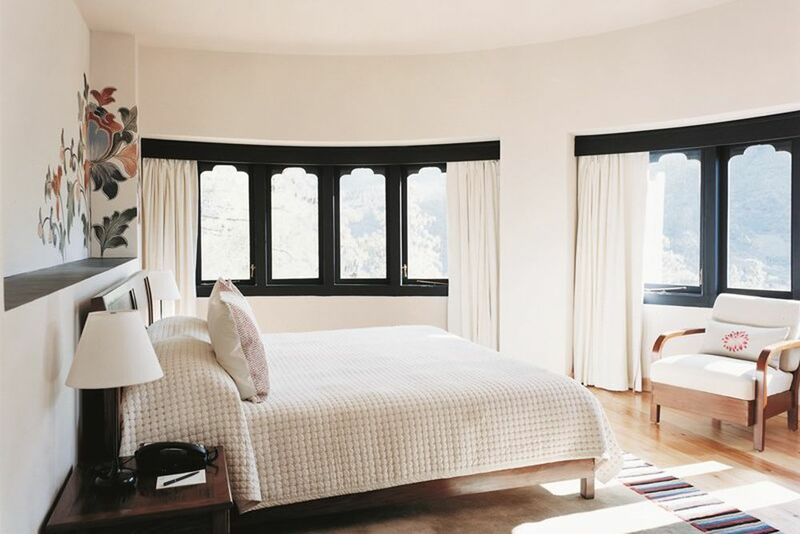 Surrounded by misty mountain ranges, terraced hills and the scenic Paro Valley, this small boutique hotel is nestled at the foot of the Himalayas. Look forward to an unforgettable experience where tradition and modernity perfectly combine. The 29 stylish rooms and suites leave nothing to be desired. The special feature of the two COMO suites? The separate living, working and dining area. Peace seekers and nature lovers beware! Paradise on earth awaits you. In addition to Bhutanese, Indian and Western dishes, the focus at Bukhari Restaurant is also on the healthy COMO Shambala cuisine. 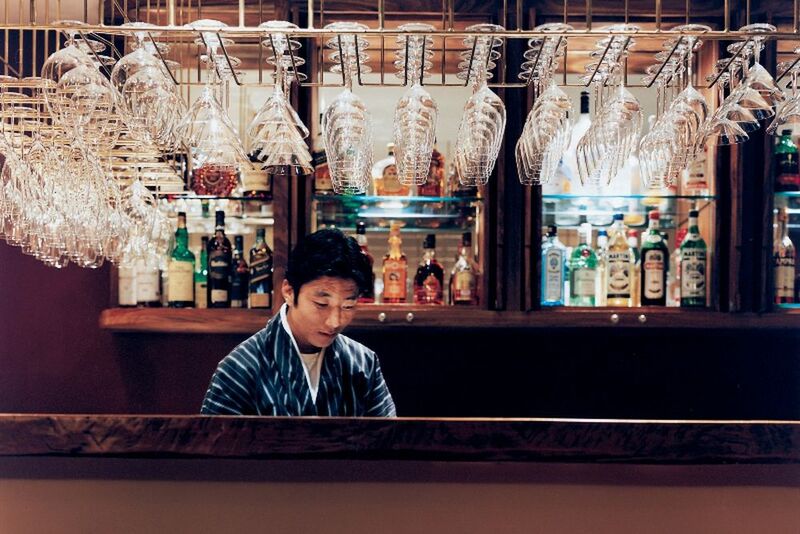 Around the clock, Uma Bar offers a wide selection of fine wines, traditional cocktails and healthy juices. Desire complete privacy? Here you are sure to spend many romantic hours with your loved one! Lean back and let your gaze wander over the picturesque landscape! Indulge at the on-site spa area with soothing Ayurvedic treatments and relaxing massages. 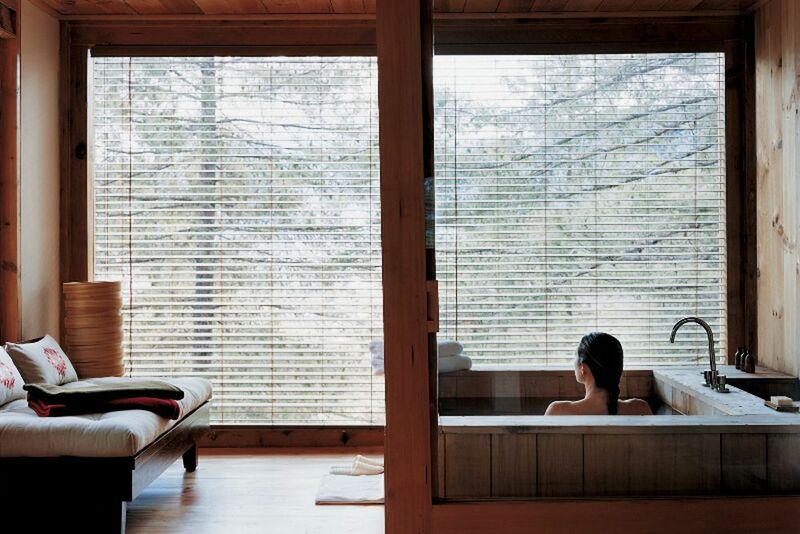 The traditional Bhutanese hot stone bathhouse invites you to linger. 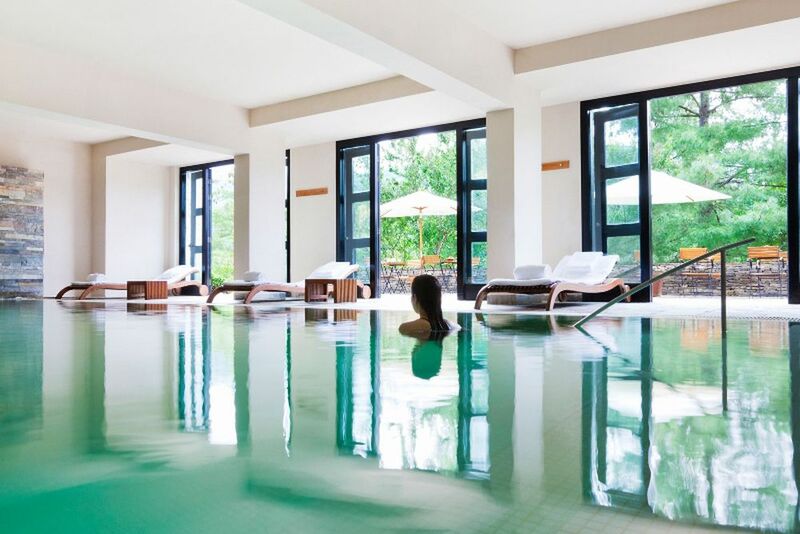 The indoor pool with sun terrace promises absolute relaxation. 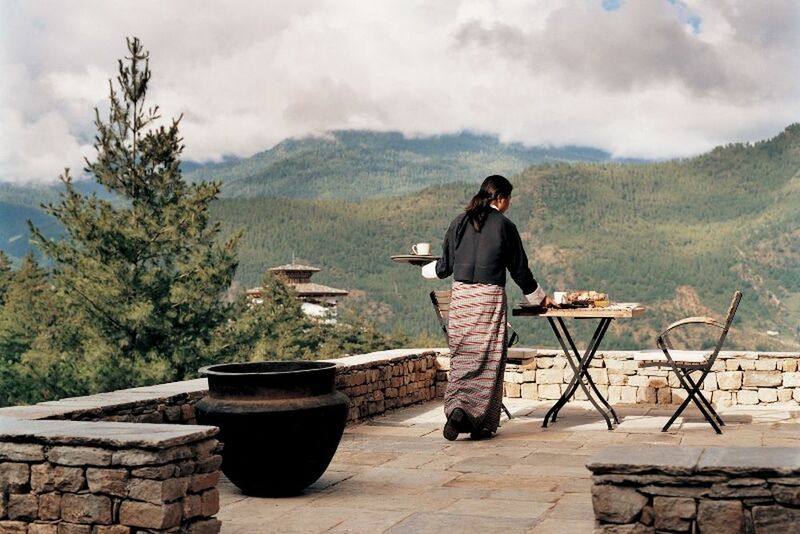 Amidst the beautiful Himalayan landscape, sitting high above the small, tranquil town of Paro in Bhutan, is the luxurious Uma by COMO Paro. 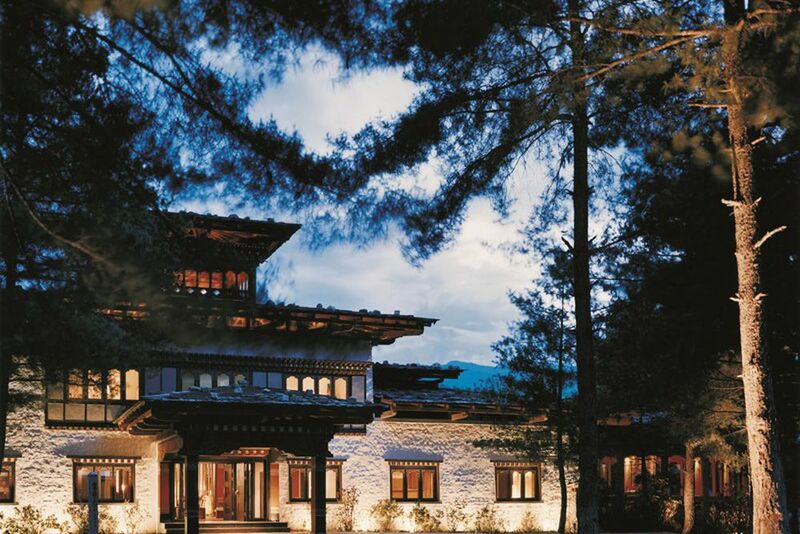 Immerse yourself in the rich, textured culture of Bhutan while enjoying the luxuries of the COMO Resort. 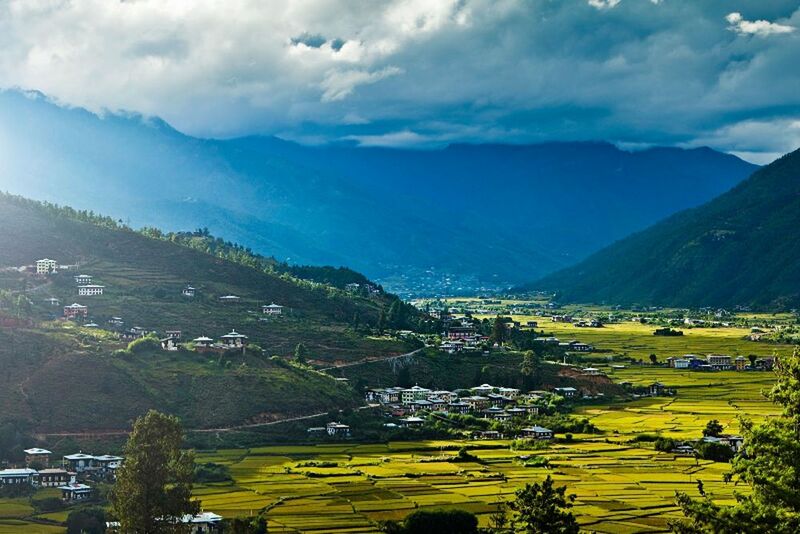 Within strikingly short distance of the country’s greatest cultural landmarks, surround yourself with mist-enveloped mountains, terraced hills and the picturesque Paro valley. Smell the fresh, crisp air of the Himalayas blowing in the wind, and feast your eyes on the soul-stirring views all around you. 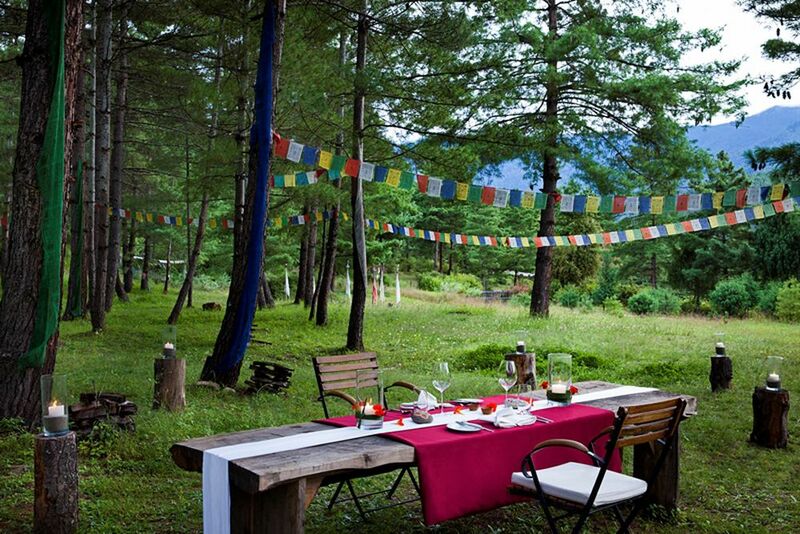 Promising to immerse you in local culture, Uma by COMO Paro has easy access to highlights of the Buddhist country. Unforgettable excursions range from the famous Tiger’s Nest Monastery (only 32 minutes from your hotel), to adventures clinging to a Cliffside, to discovering Thimpu’s museum, and exploring other monasteries and markets. Paro International Airport is about 10 minutes away. Uma by COMO Paro combines colorful accents of traditional Bhutanese craftsmanship with clean-lined, contemporary design. The private villas are conceived as intimate, luxury retreats to be enjoyed after a day’s cultural activities and adventure pursuits. In the Bukhari restaurant, the kitchen focuses the flavors on Bhutanese, Indian and Western dishes combined with healthy COMO Shambhala cuisine. The Uma Bar provides you with round-the-clock savory dishes. They also offer a selection of fine wines, traditional cocktails and healthy juices. For absolute privacy, the attentive service will also serve dinner in your room. The stylish décor of the 29 rooms and suites help create the ultimate luxury resort experience. The combination of traditional handcrafted furniture and modern design make up a unique ambience in every room. Equipped with first-class amenities, all the rooms include a satellite TV, DVD player, electronic safe, minibar and tea & coffee making facilities. The spacious bathroom has a hair dryer and COMO Shambhala toiletries. You can also find a yoga mat in each room, along with complimentary Wi-Fi. 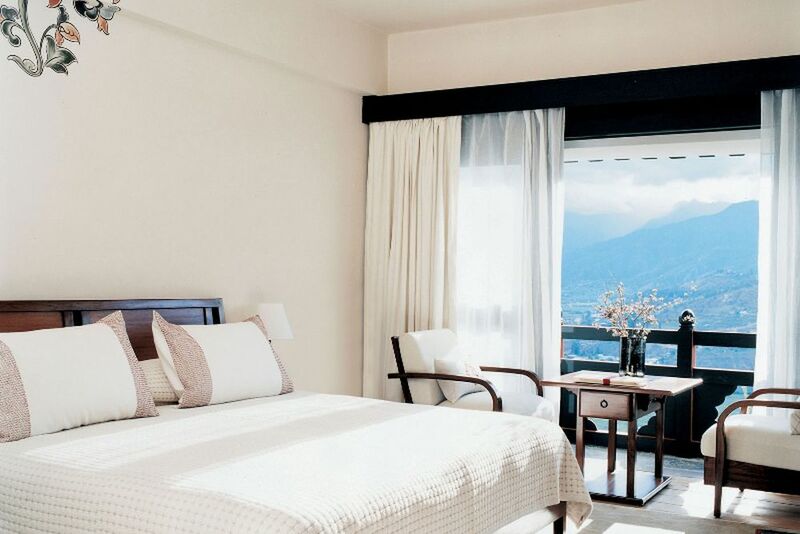 COMO Suiten - 95 m², Both COMO Suites feature a separate living, working and dining room with kitchenette and a 180-degree view over the incredible Paro Valley. Ideal for honeymooners. Other villas available upon request. 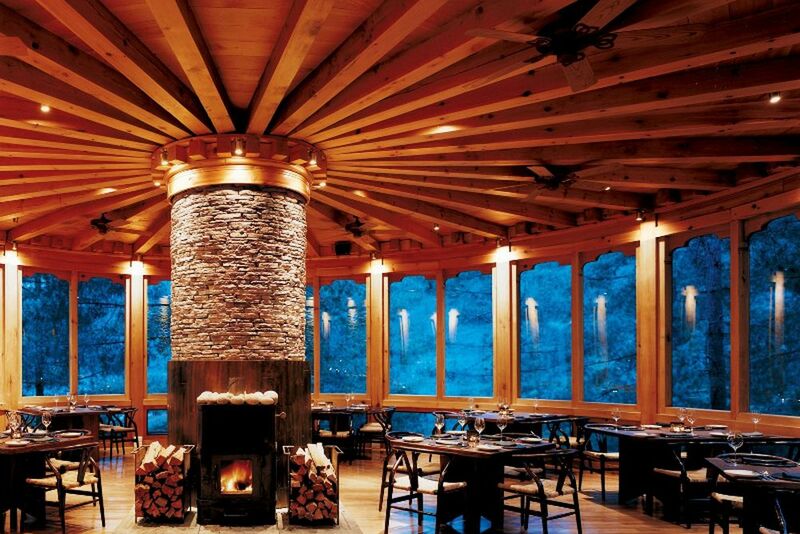 The COMO Shambhala Spa Retreat is a pure wellness oasis. Relax in one of the four treatment rooms and indulge yourself with soothing Ayurveda treatments and relaxing massages. 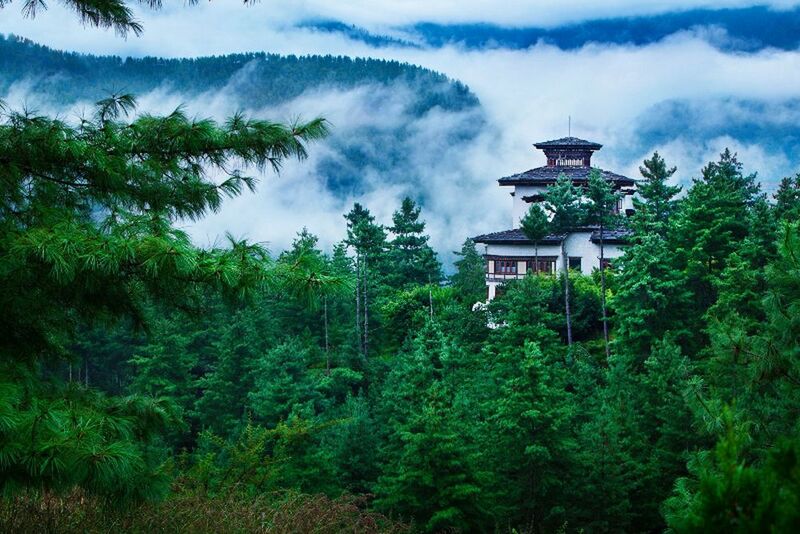 The resort promises absolute relaxation in the meditation area, two traditional Bhutanese hot stone bathhouses and an indoor pool with a sun terrace. Further facilities include a sauna and a gym. Recharge and bring your body and mind back to tranquility by starting the day with a morning yoga class. Please note on 24.12.2018 and 31.12.2018 the obligatory Christmas and New Year's Eve gala dinners.